Mirrors can be art too! Beautiful mirrors are a great way of adding interest to your walls and we often suggest using mirrors as a unique way to jazz up your walls. 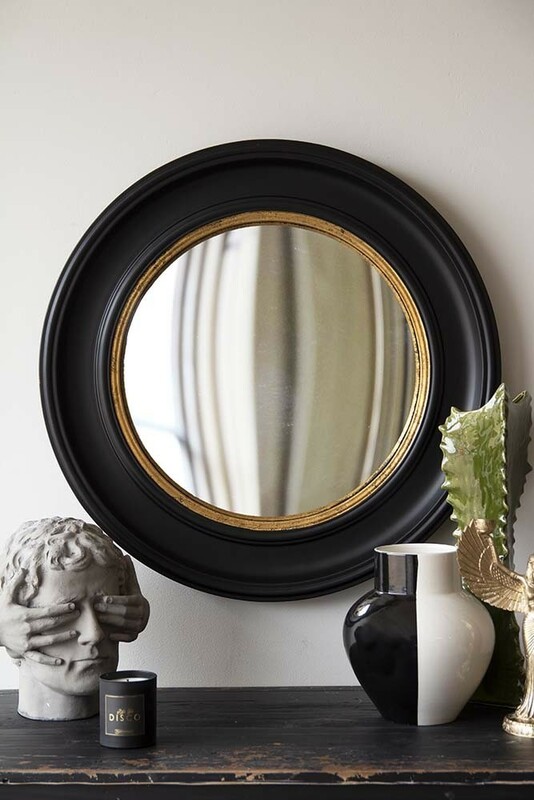 Reflecting light and giving the illusion of more space in the home, the striking Black Convex Mirror With Aged Gold Detail will elevate and update your interiors. 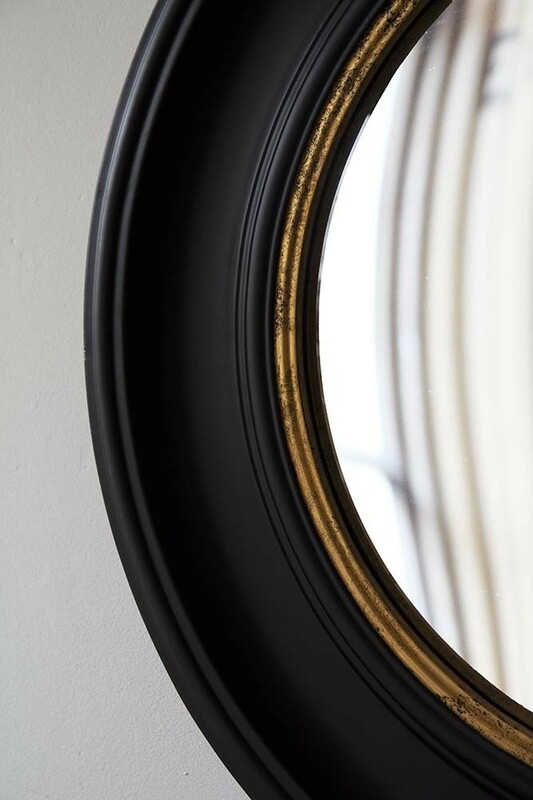 With a wooden black frame and golden edged inner, the convex mirror will look striking hung on the walls above your dresser, shelves, fireplace, console table or even as part of your picture wall. 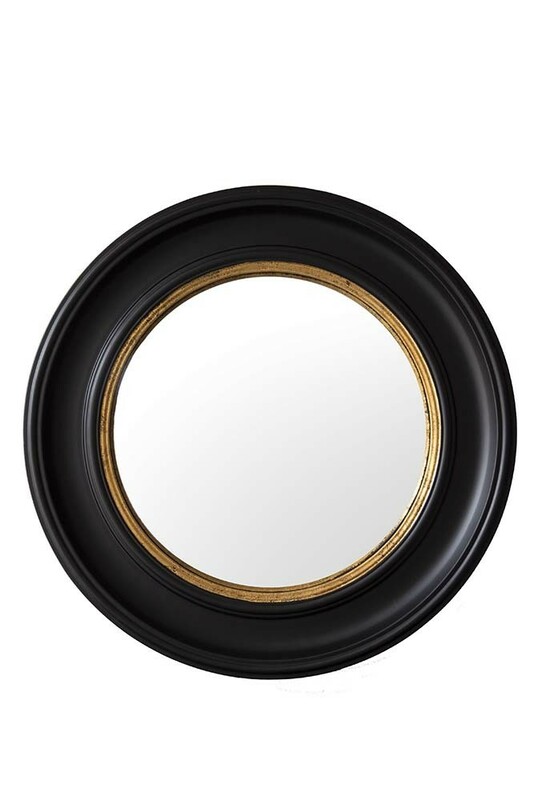 A gorgeous convex mirror, we think that this display mirror would make a particularly unique gift choice for that special someone.